ALREADY HAVE A PAY PER HEAD PROVIDER? We accept several payment methods, and are working to add more. Full sportsbook, racebook, casino, and poker. Ace Per Head has had the best customer service in the industry the last 2 years running. The main reason behind that is because they have American English speaking customer service representatives. Most books in the world have workers that speak English, but as their second language, whereas Ace has representatives that were born and raised in America. This makes it much easier for agents to communicate with the pay per head site, and less chances of mistakes do to misunderstandings. Ace Per Head has the sharpest lines in the industry. They are only 1 of 15 books that have their lines posted on Donbest.com, which is one of the top lines providers in the world. In addition the industry weekly average hold percentage is 5%; however Ace is running at a whopping 13% weekly average hold percentage. (In layman’s terms, players are losing more money at Ace, because their lines are razor sharp.) Ace also constantly monitors all agent’s players for possible sharp, non-recreational, or suspicious activity. The websites that Ace Per Head offers never experience down time. They have multiple server locations around the world, which helps them to ensure multiple redundancy in their network and maximize protection so their sites does not experience any down time. 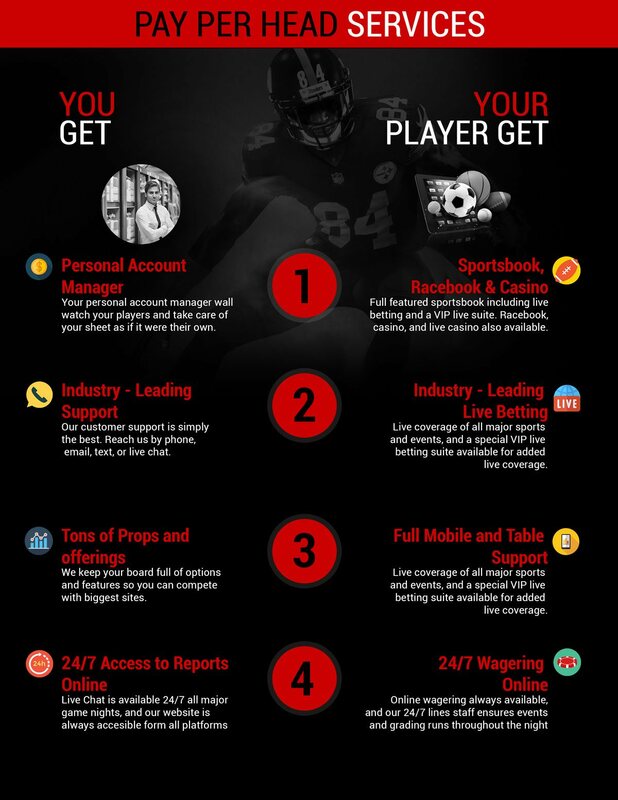 This advantageously compares to other books that do not spend as much money and time on server protection, which leads to other books experiencing website interruptions multiple times a year and often during important wagering times such as noon on Sunday during the NFL season. 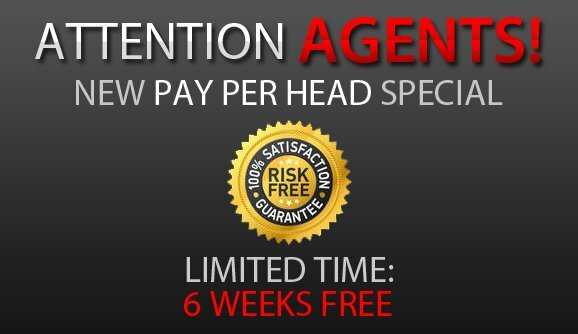 They have by far the best promotion in the industry for new agents. Some sites offer as much as 2 free weeks, however Ace has three different promotion options to choose from. The best money saving option is their 6 week free option, where agents get a total of 6 free weeks, which is applied the 1st week of each month for 6 months. In addition Ace also offers a 4 week free option and a 1 week free option. Ace Per Head is open 24 hours a day, 7 days a week and 365 days a year. They never close and anyone can contact them anytime of the day or night via telephone 1-800-909-5193, live chat, email or text. Ace understands that money and business never sleeps or takes a day off, so they do not either. Sign up today and experience the difference! Definitely the fastest payouts in the industry. I do the WU rush payouts and can pick it up the very same day!